Paramount Rehabilitation Services create personalized orthopedic and neurological Physical Therapy Treatment Plans to help patients who have lost function, strength and range of motion as a result of illness, injury, developmental disability or genetic disorders. The goal of physical therapy is to make daily tasks and activities easier, improving quality of life for adults and children in the region. 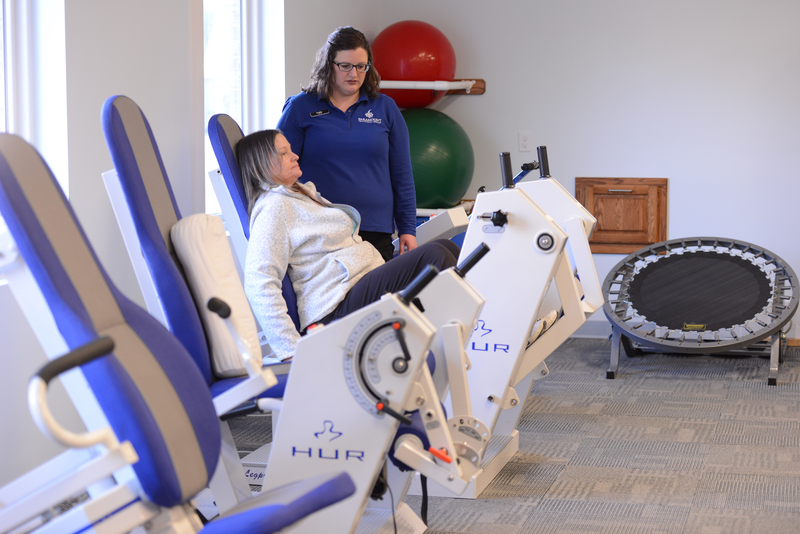 Physical Therapy can be offered in your home or at one of our facilities located in the following Great Lakes Bay Region cities; Bay City, Saginaw and Standish. Balance Training and Vestibular Treatment, an interactive training to help patients gain strength and endurance while improving balance and mobility. Biodex Partial Weight and Non-Weight Bearing and Gait, which uses a suspension system to provide proper posture as well as balance and safety while the patient builds coordination and weight-bearing movement. Kinesio Taping is used to help the natural healing process while providing support and stability to muscles and joints without restricting range of motion. Serial Casting is a non-invasive procedure that helps range of motion using plasters or fiberglass casts. Manual Therapy reduces muscle tightness while improving movement and function. Myofascial Release is a technique that provides continuous pressure on fascial restrictions to eliminate pain and restore motion.